STUDIES ON THE TOXICOGENOMIC EFFECTS OF ORGANOPHOSPHATE PESTICIDE DIMETHOATE [O,O-DIMETHYL S-(N-METHYLCARBAMOYLMETHYL) PHOSPHORODITHIOATE] IN CYPRINUS CARPIO L.
International Journal of Current Research and Review. 2014; 6(11): 79-86.
International Journal of Livestock Research. 2018; 8(3): 229-233.
International Journal of Livestock Research. 2017; 7(8): 238-244.
International Surgery Journal. 2015; 2(3): 381-384. Occurrence of Respiratory Affections in Commercial Broilers Chicken Reared in Srinagar (J&K) India. Journal of Veterinary Advances. 2014; 4(1): 350-357. Archives of Clinical and Experimental Surgery (ACES). 2013; 2(3): 154-160. The Journal of Neurobehavioral Sciences. 2012; 1(1): 23-27. The Journal of Neurobehavioral Sciences. 2012; 1(2): 30-35. Mandatory reporting of law: where does the responsibility of the clinicians start and where is the limit? Anatolian Journal of Psychiatry. 2013; 14(3): 290-290. The Southeast Asian Journal of Case Report and Review. 2015; 4(2): 1481-1487. Anatolian Journal of Psychiatry. 2015; 16(6): 389-396. Journal of Contemporary Medicine. 2013; 3(2): 148-154. Medical Bulletin of Sisli Etfal Hospital. 2011; 45(2): 44-47. 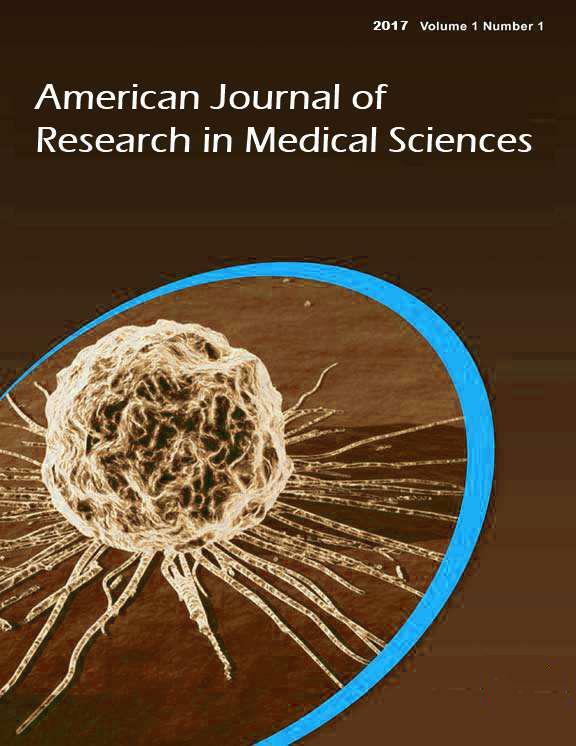 Journal of Turgut Ozal Medical Center . 2017; 24(3): 274-278. Kaiser Habib, S Jalal, Pawan Suri, K Aslam, Viqar Jan, Hilal Rather, Sultan Elahi. Rawal Medical Journal. 2008; 33(2): 262-263.
International Journal of Medical Research & Health Sciences. 2014; 3(4): 1047-1050. Medical Journal of Bakirköy. 2014; 10(1): 11-17. Anatolian Journal of Psychiatry. 2015; 16(3): 212-219.
International Journal of Medical Science and Public Health. 2013; 2(4): 814-818. Rawal Medical Journal. 2012; 37(3): 239-242.
International Journal of Research in Medical Sciences. 2016; 4(3): 770-777. Anatolian Journal of Psychiatry. 2014; 15(2): 141-149.
International Journal of Livestock Research. 2017; 7(5): 155-161. TAF Preventive Medicine Bulletin. 2016; 15(6): 478-484.
International Journal for Agro Veterinary and Medical Sciences. 2013; 7(5): 142-148.
International Journal of Reproduction, Contraception, Obstetrics and Gynecology. 2015; 4(4): 1181-1184. Family Practice and Palliative Care. 2016; 1(2): 53-57. How Turkey Meets MPOWER Criteria? TAF Preventive Medicine Bulletin. 2013; 12(1): 1-10. Journal of Contemporary Medicine. 2013; 3(1): 49-51.
International Journal of Research in Medical Sciences. 2016; 4(1): 212-218.
International Journal of Research in Medical Sciences. 2016; 4(6): 2359-2366.